Food safety resources for retailers. This page compiles food safety resources and templates for retail establishments. We are currently developing this page- so check back frequently for updates. Voluntary HACCP guidelines for retail establishments from the FDA. Follow this link for information regarding the Neals Yard HACCP Pre-Requisites, HACCP plan, risk assessment, and storage temperature documents. A template for receiving cheese orders. This template was created in Excel and can be modified. Insights and Videos for in-store cutting and wrapping cheese practices from Sartori Cheese. Step-by-step instructions of how to clean a deli slicer to prevent foodborne illness and cross contamination. This guide demonstrates precise "how to" instructions for product identification, use of batch/lots numbers, barcodes and other standards needed for traceability processes. It also includes a section on recalls with steps supply chain participants can follow should a product withdrawal or recall occur. A discussion and interpretation of date marking requirements for cheese. The Level 1 Audit was created to help local artisan cheese makers fill the needs of retailers. HACCP and Preventive Controls are included. This tool can by used by retailers as part of a Supplier Verification program, and also by cheesemakers to work towards towards a GFSI Approved Program certification. This tool and checklist was created by the Retailers Consortium: Lund Food Holdings, Inc., Wegmans Food Markets, Inc., and Whole Foods Market, Inc.
A slideshow from an ACS Conference presentation given by Marianne Smukowski from the Center For Dairy Research at the 2013 conference. This presentation summarizes a paper that explores storage temperatures needed to maintain cheese safety and water activity. This journal article by Jay Russell Bishop and Marianne Smukowski reports on research conducted on from bacterial pathogen growth, stasis, and death in cheese. The information was reviewed and evaluated to determine storage temperatures necessary to maintain product safety. Excerpt from the Abtract "In view of the variety and large volume of cheeses consumed throughout the world, the incidence of foodborne outbreaks associated with cheeses is extremely low. Research revealed that the inherent characteristics of most cheeses create a hostile environment for bacterial pathogens, especially at elevated ripening and storage temperatures. 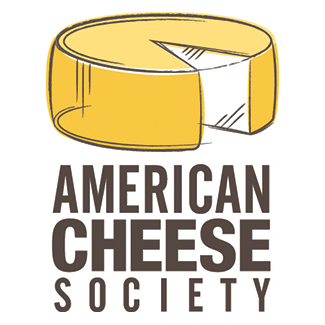 Therefore, it is recommended that the following cheeses, manufactured in the United States with pasteurized or heat treated (> 63°C for >16 seconds) milk, should be exempt from refrigeration requirements during ripening, storage, shipping, and display: Asiago (medium and old), Cheddar, Colby, Feta, Monterey Jack, Muenster, Parmesan, Pasteurized process, Provolone, Romano, and Swiss/Emmentaler. It must be stressed that the manufacture of these cheeses must be done under the proper conditions of Good Hygiene Practices, Good Manufacturing Practices, and HACCP principles, and according to CFR requirements. In addition, the natural cheeses must include active cultures, and the storage and display temperatures must not exceed 30°C." This paper proposes and outlines a categorization scheme for raw milk cheeses based on Table B of the US Food and Drug Administration’s 2013 Food Code, which represents the interaction of pH and water activity for control of vegetative cells and spores in non-heat-treated food. This paper defines a set of more granular pH and water activity categories to better represent the pH and water activity range of different raw milk cheeses. Have a resource to suggest? How much cheese is taken when a sample is collected? Does it consist of cut pieces or whole pieces? Typically, a sample includes a few pieces of a particular cheese - and often whole wheels. It is typically representative of what the producer originally sent out, to avoid possible retail cross-contamination. The following chart is taken from the Investigations Operations Manual Subchapter 4, Page 205-206. Will I be informed if someone is an inspector? Will they be an FDA representative or from a local agency? They should identify themselves as FDA representatives - though they won’t always do so. Usually they will communicate it at the store level. It is typically someone from FDA or someone working on their behalf. It is good practice to ask for identification of the inspector. Will I be compensated for the samples taken? FDA will pay for samples, though some companies choose to provide the samples at no charge. There are two main ways to pay for samples. The sample costs may be billed to the district or cash may be used to pay for the sample. This is an example of a receipt given for product taken for sampling by FDA or an FDA representative. Do they share the results with me? Results are typically shared with the producers only. Should you call your distributor or the producer to let them know about the sampling? Absolutely! As a courtesy, we recommend calling the supplier or producer to let them know. Be sure to let them know which batch or lot code was taken for a sample. This document addresses FDA policies and procedures related to the sampling of finished products at retail and elsewhere. The FDA publishes the food code to assist in food control jurisdiction at all levels of government by providing them with a scientifically sound technical and legal basis for regulating the retail and food service segment of the industry. The final rule establishes a voluntary program for the accreditation of third-party certification bodies (CBs) to conduct food safety audits and issue certifications for foreign facilities, and the foods – for both people and animals -- that they produce. Factsheets, guidance documents, and compliandes dates for FSMA Sanitary Transport rule. Factsheets, guidance documents, and compliance dates for the FSMA Foreign Supplier Verification Rule. Free, downloadable education tools and materials from the Food and Drug Administration Center for Food Safety and Applied Nutrition. This website describes what import alerts are, and interprets what they mean. A chronological listing of import alerts for cheese and cheese products. Pamphlet from the Food Marketing Institute with recommendations for reducing the risk of Listeria in retail environments. From the Penn State Extension. A guidebook for retail, restaurant and food service environments. CDC report from the 2012 Listeriosis outbreak associated with Ricotta Salata. Widespread listeriosis outbreak attributable to pasteurized cheese, which led to extensive cross-contamination affecting cheese retailers, Quebec, Canada, 2008. Article describing a 2008 Listeria outbreak that led to cross-contamination at the retail level. From the Grocery Manufacturers Association, a list of resources to assist retailers and suppliers with recalls.